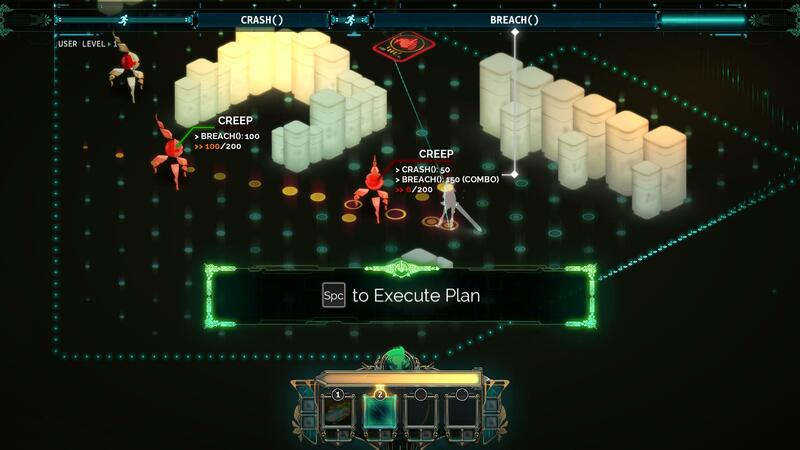 Supergiant Games’ second release is an inspired cyber-punk themed action RPG with a strategy game twist. 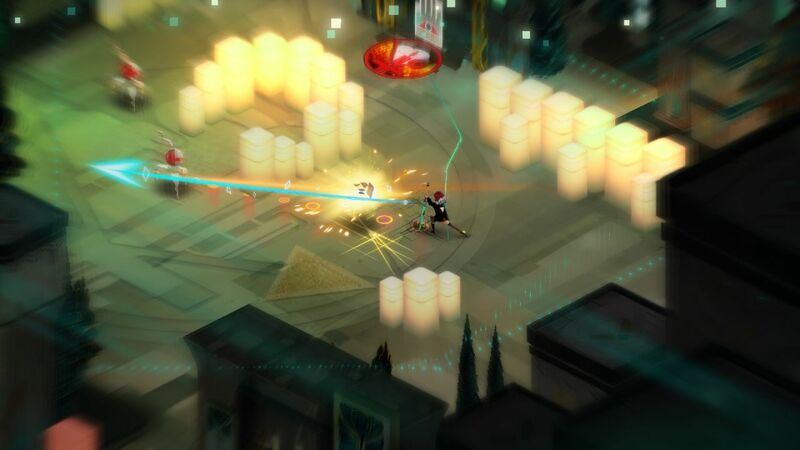 Transistor features an isometric game design, with superb artwork and an absolutely fantastic soundtrack that will stick with you well past your playtime hours. The overall look and setting of the game feels like an elegant neo-victorian cyber world. The environments are simple in their overall design, but have a lot of personality and charm throughout. Each area has its own standout features, such as quaint little diners or sky-high overlook bridges. The game also manages to keep from having an overdone or stale feel, even when you return to areas you have visited previously that have been dynamically changed. At times, the environments do feel a bit too manufactured as playing fields suited to the nature of the game’s combat, but it is hard to avoid that feel in an isometric style game. Overall, Cloudbank, the city you spend most of the game in, is a beautiful and vibrant place to traverse. 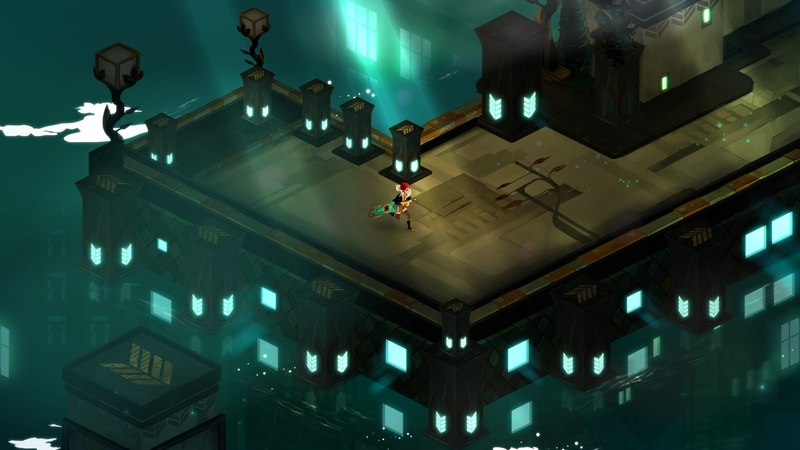 The game mechanics and combat are a stand out in Transistor. The combat system is a hybrid of a real-time action RPG and a strategy RPG. You have four slots to place abilities as active attacks, and each has its own set of slots for abilities to be placed as upgrades. Each ability can also be placed in a passive slot to provide other benefits in battles. You may use your active abilities freely in real-time, but many of them have quite a bit of wind-up, and playing this way can be incredibly difficult. That is where the turn() ability comes into play. Upon activating turn() you freeze time and may then plan out your attack in a strategic way, with each movement and attack costing an amount of your turn time. Once you have put your attack plan together, you may execute it and watch as Red fluidly glides through the battlefield carrying out the moves and attacks you set for her. You must then wait for your turn() to recharge while you move about and use cover to avoid the enemies retaliations. Executing a perfect and devastating turn can be incredibly satisfying, but you will also find that sometimes your plans don’t execute quite as you intended. The challenge of learning how things will react and how your abilities will work in tandem makes the combat a unique and enjoyable experience. 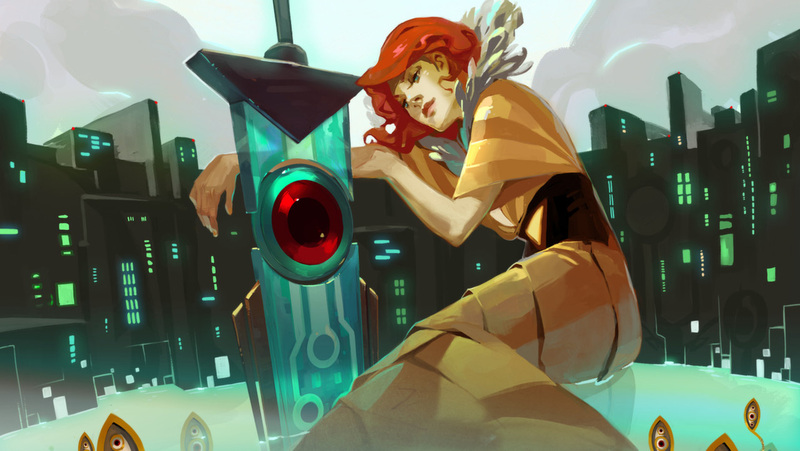 The story is a very compelling and emotionally charged ride to uncover the mysteries of the Transistor, and the plots of the characters in Cloudbank. The city exists as a dynamically shifting place where the citizens live in an extremely democratic society in which everything is polled and voted on, even down to the weather and the color of the sky. Red, the game’s protagonist, is a notable singer within the city whose music has inspired many of the citizens and drawn the attention of the Camerata, a mysterious group of four powerful people who have set a plan in motion that will change Cloudbank forever. 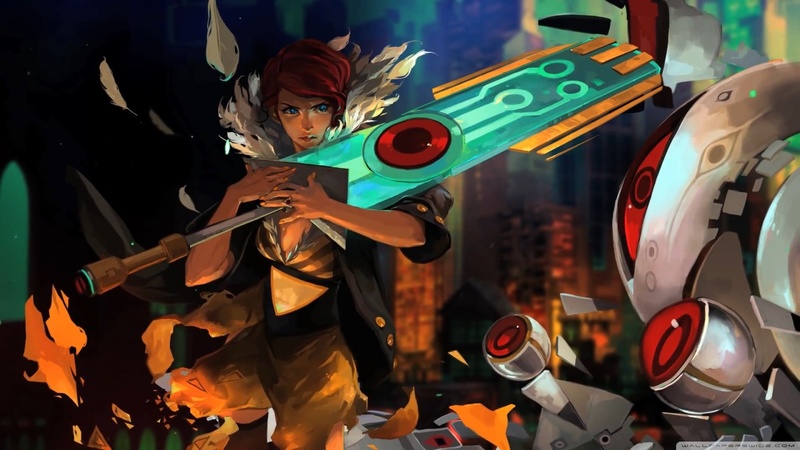 One night the Camerata come to one of Red’s shows to transfer her into the Transistor, a powerful weapon which can contain a trace of a person’s consciousness. Their plan goes awry when Red’s lover puts himself in the way of the Transistor before it can capture all of Red’s trace. Instead, only her voice gets taken, and her lover finds himself transferred into the transistor in her place. 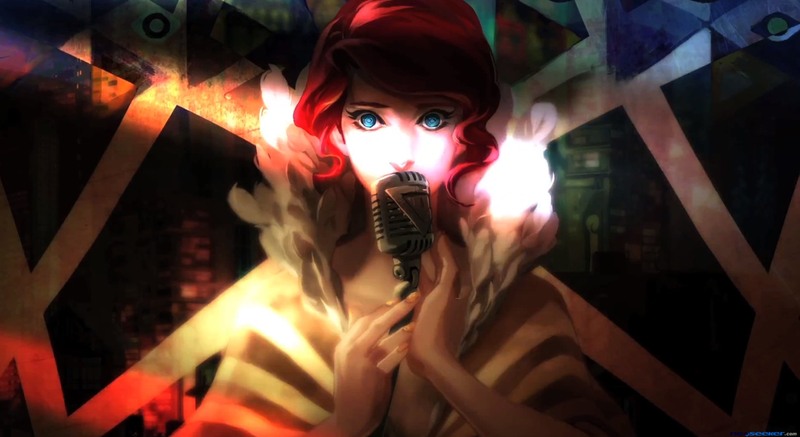 The Camerata flee in their failure, leaving the Transistor behind, and Red takes the weapon which now contains her love and savior and pursues them to find out what their intentions were. In her journey she faces the Process, a cybernetic race of beings that have the ability to restructure and manipulate Cloudband and its citizens. It’s all a part of the plot that reveals itself through your adventure to track down the Camerata and hopefully find a way to restore Red’s lover to his former state. The plot is very well crafted and at times will jolt your emotions and provoke your thought. It can be hard to follow at times, but it is very open to interpretation, which is a large part of its appeal to me. The music is a huge part of the experience, at least as far as I am concerned. Darren Korb puts together an incredible soundtrack that highlights and accents the game in fantastic ways. Haunting melodies and pulsing beats perfectly compliment each moment of the game, and the tracks that feature Ashley Barret as Red’s vocals go deep into the plot of the game, providing an intricate bit of insight to the story as well as beautiful pieces of music. All of these elements combine to make a masterpiece of a game. I really can’t find anything to complain about. The level of challenge is perfect and everything in the game feels expertly crafted. Of course not everyone will find the game as enjoyable as I do, and the isometric style and strategic combat elements won’t suit everybody’s taste. If you enjoy compelling story and strategic combat, with excellent music that perfectly compliments them, do yourself a favor and play this game. 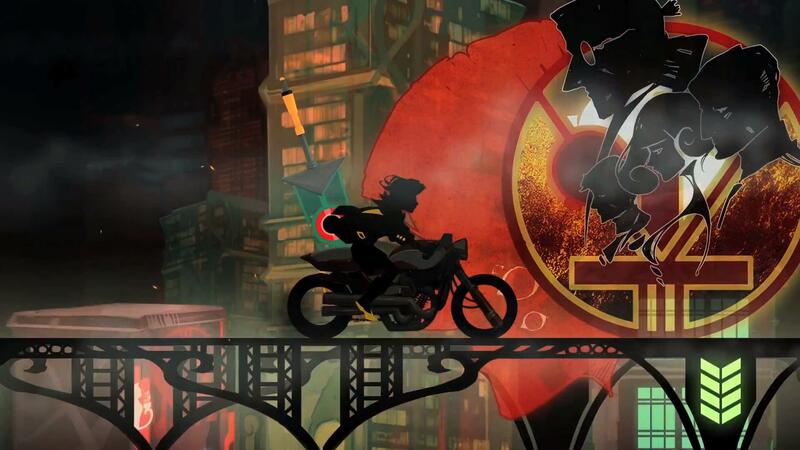 Supergiant Games will certainly be on my radar from now.